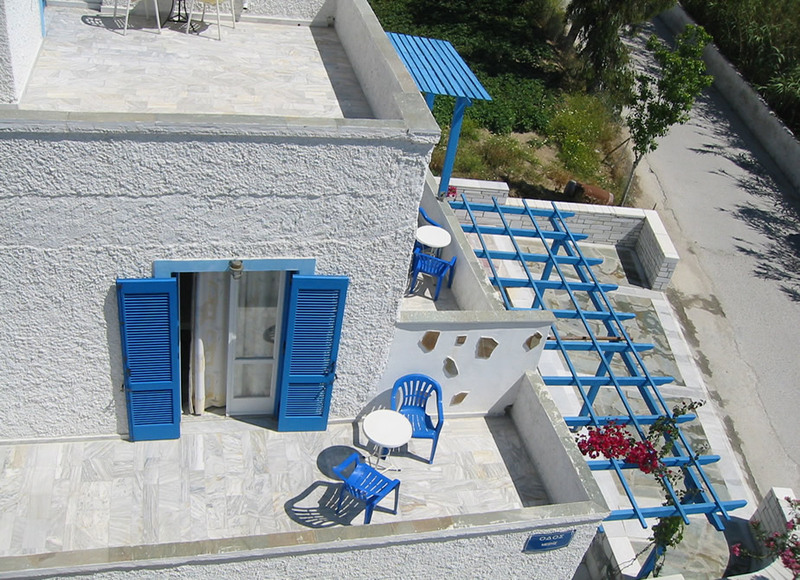 Hotel REA is a friendly family run hotel, located only 150 meters from the sandy beach of Saint George and 300 meters from the centre of the town of Naxos island. It is surrounded amongst others by supermarkets, bakeries, restaurants and the bus stop. It consists of a mixture of twin, double rooms, studios for 2-3 people and family apartments, ideal for families, friends, couples or groups. 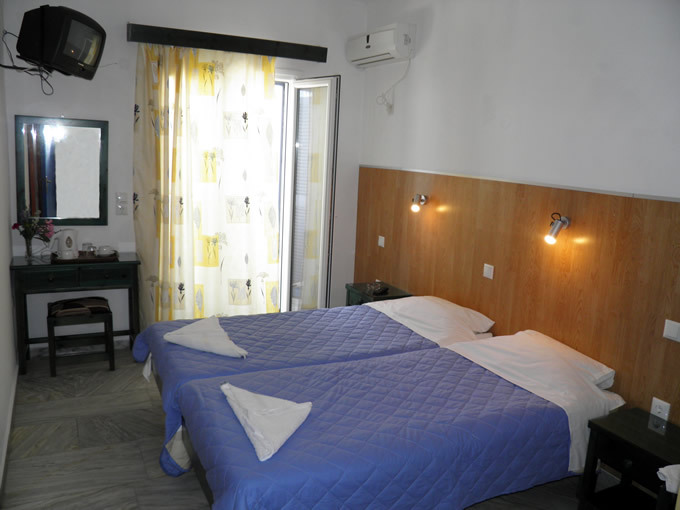 Hotel REA offers services and quality that guarantee complete satisfaction, and relaxing holidays. We offer to our guests Free Wireless access –Room service-Breakfast Lobby - Internet room- Safety Box- Library- Free Transportation to/from the Airport/Port-Free parking outside the hotel entrance also car-bike rental Service - laundry Service - information Desk. Our staff will give you any information you need to find the restaurants, night clubs, beaches and beach bars of your style. All rooms are spacious with - private bathroom - big- sunny Balconies - Television - Air conditioning - Refrigerator - Kettle -Hair dryer - Free Wi Fi - Daily cleaning, and some of them are privileged to have Sea View. All studios have private bathroom - big-Balcony - Television - Air conditioning - Refrigerator - Kitchen-Hair dryer - Free Wi Fi - Daily cleaning. The apartments consist of two separate bedrooms, separate living room with kitchen. Bathroom with bath, Television , air conditioning, hair dryer, free Wi Fi, daily cleaning service, ideal for families of 4-5 persons. We also provide Fax Services.